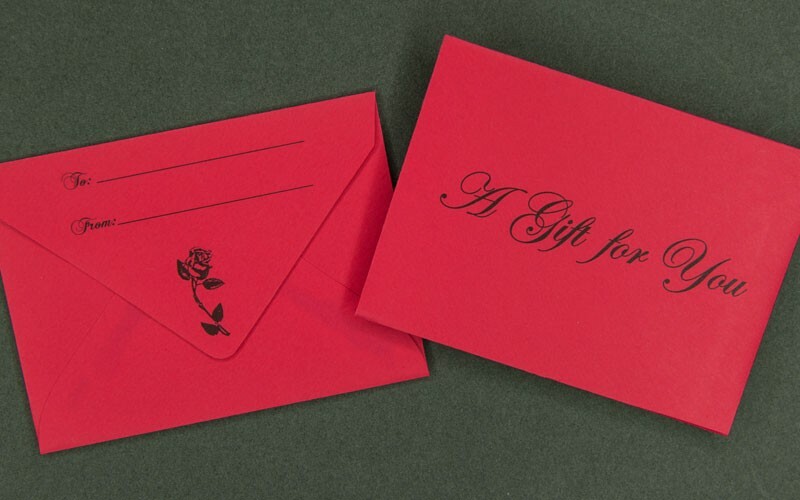 The Red Gift Card Envelope – “A Gift For You” has a “V” flap, and is manufactured with 60# offset paper. Imprinted in black, this Envelope has a rose on flap. Measures 2 5/8″ x 3 5/8″.